Can a Philosopher be a Christian? The Dominican priest who, as the president of the college, interviewed me for the faculty teaching position I currently hold, died several years ago. I admired and respected him for many reasons, including that his signing off on my hiring was one of his last actions as president. 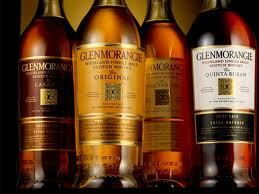 In addition to being an ordained priest, he was a philosopher by academic trade and a respected scholar. After he stepped down from the presidency, he returned to the philosophy department and taught for a few years before his death. He used to scandalize his Dominican brethren publicly in department meetings—I like to imagine that he took great delight in doing so— by regularly proclaiming that “There is no such thing as Christian ethics. It’s an oxymoron. ‘Ethics’ is philosophy and ‘Christian’ is theology.” Had this comment not come from one of the most respected Dominicans and scholars on campus, a number of my colleagues who believe that the purpose of philosophy is, as Thomas Aquinas suggested, to be the handmaiden to Queen Theology would have jumped on him. Instead they rolled their eyes and tried to act as if nothing offensive had been said. 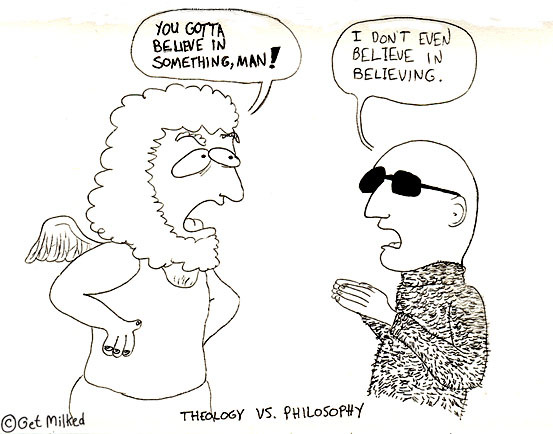 Since I believe that the sharp distinction between philosophy and theology is the first line that must be drawn in every course I teach, I embraced my colleague’s insight. I’ve spent my entire professional career as a philosophy professor teaching in Catholic institutions of higher education. Since I’ve always been straightforward with those interviewing me, my colleagues, and my students that I am not Catholic, I’ve never been accused of being a “Catholic philosopher” (although many of my colleagues wear that description as a badge of honor). I continually struggle, however, with whether I am a “Christian philosopher.” Somewhere along the line I became defensive when talking with others about this. I regularly say that “I’m not a Christian philosopher. I’m a philosopher who happens to be a Christian,” as if I freely chose to become a philosopher but was saddled with being a Christian in the same way I was saddled with curly hair, blue eyes, and bad teeth. 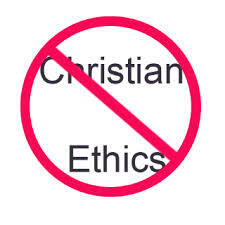 On a professional level, my resistance to the “Christian philosopher” tag is similar to my Dominican colleague’s rejection of the possibility of “Christian ethics.” Mixing philosophy with theology is like mixing fine scotch with root beer. 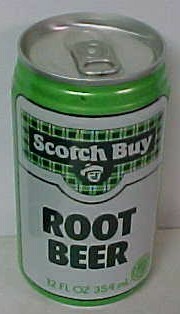 There’s a place for root beer, and there’s a (better) place for scotch, and never the twain should meet. But there’s definitely something much deeper going on that has nothing to do with respecting the boundaries between distinct academic disciplines. A number of years ago Jeanne and I went to visit Forrest and Nancy, a couple who had been very important in my life before Jeanne and I met. In the seven or eight years since I had last seen this couple a number of big things had happened in my life, including a divorce, a bitter custody battle, a remarriage, and completing my PhD in philosophy. The weekend visit was lovely, with good food and conversation, a boat trip on an Alabama lake, and church on Sunday. I had been in pretty bad shape the last time Forrest and Nancy had seen me, so they were thrilled to meet my beautiful new wife, to hear about my sons, and to see that I was doing well. In the middle of one conversation, Nancy asked me a question that has stayed with me ever since: “How can you be a Christian and a philosopher?” The question was sincere, without a hint of challenge or judgment. She simply wanted to know. Nancy admittedly knew little about philosophy, but she’d at least heard that philosophy is the art of questioning, of asking better and better questions about the biggest possible issues. The problem, as she saw it, was that for a Christian, most if not all of these questions are already answered. Why, if as a Christian I know all of the answers to these questions, would I spend my professional life continuing to ask them and inspiring others to do the same? Why not just introduce everyone to the truth? s question returned me to my youth, to bumper stickers on cars in the church parking lot that read “God said it, I believe it, That settles it,” to sensing from those around me that I thought too much, that I asked too many questions, that I was too smart for my own good and too big for my britches. What I needed to do was simply believe and shut up. It would make my life, and that of those around me, a lot easier. As I’ve processed Nancy’s question over time, I’ve come to realize that the joy and fulfillment I find in life of the mind, of academia, and of open-ended questioning is partially, at least a teeny bit, the working out of a rebellious “up yours” to everyone who sought to fit me for their straitjacket. Philosophy on the one hand, as a life-defining activity, is who I am, and I even get paid for doing it. Being a Christian, on the other hand, is something I was born into. It was part of the atmosphere I breathed from birth. My family and community were Christian, the first words I learned were Christian, the first songs I sang were Christian. One doesn’t just walk away from that or shed it as a snake sheds its skin. I’ve never really believed someone who smugly with an air of superiority says something like “I was raised in (fill in the blank religion), but now I know better and I’m an atheist.” If you were really raised in a religious tradition that seeped into your bones and psyche before you even became fully conscious and self-aware, then that influence does not end by flipping an intellectual switch. So I’m a philosopher who happens to be a Christian. 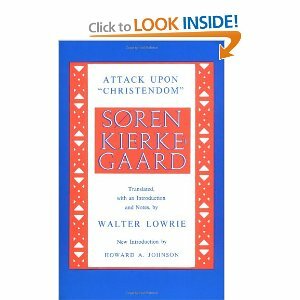 As I was discussing this with a wise new friend not long ago, he reminded me of a distinction that Kierkegaard makes between “Christendom” and “Christianity.” Christendom, on the one hand, is an institution, a top-down hierarchy, the various rules, prescribed actions, and rituals that human beings have constructed to limit and control human behavior and various dangerous elements of Christ’s message. This is what Simone Weil called “the Great Beast,” the powerful collective which attempts to control human freedom and choice in the name of God. For better or for worse, I was born into one specific, very powerful version of Christendom. 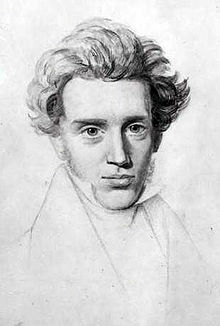 Christianity for Kierkegaard , on the other hand, is a radical, individual commitment to following Christ at all costs, a commitment to the law of freedom and love so challenging and frightening that it shows Christendom to be a timid and safe mockery of faith. When it’s put that way, I realize that I can be a Christian philosopher—the two could very well go perfectly hand in hand. Working this possibility out in real time is a continuing challenge. This requires commitment and courage beyond anything I’m familiar with, a truly open-ended exploration of what it might really mean that God loves me and what that might lead me to become. But at least it’s a choice. 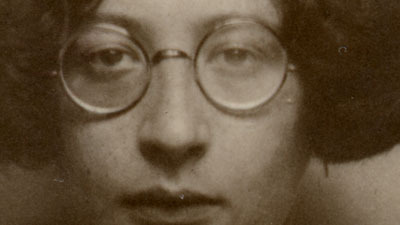 This entry was posted in belief, books, Catholicism, certainty, Christianity, faith, family, God, Jeanne, literature, philosophy, prayer, Providence College, Simone Weil, teaching, theology and tagged Dominicans, Kierkegaard, Simone Weil on July 6, 2014 by vancemorgan. Our creator created the universe. This universe is a tool of our creation. This planet was placed here in this galaxy to give birth to life and this life is an extension of the universe and it is our innate nature that drives us to find our creator. As the search for our creator continues, we evolve. And then one day our descendants will come face to face with our creator and our creator will teach us how to create and then we will become creators and we will create universes.